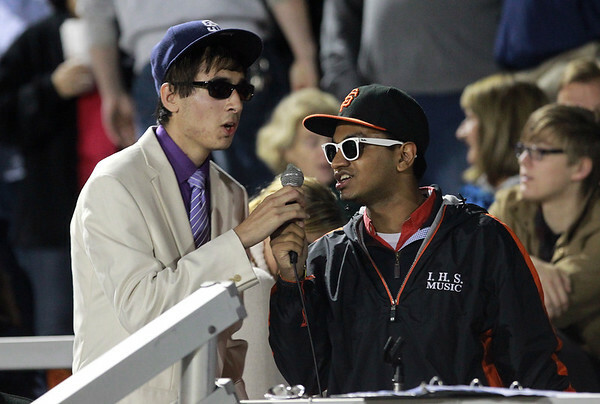 Ipswich High School seniors Matt DiBella, left, and Anagh Tiwary, sing "Can't Hold Us" by Macklemore and Ryan Lewis during the IHS Band halftime show on Friday evening. DAVID LE/Staff photo. 9/26/14.